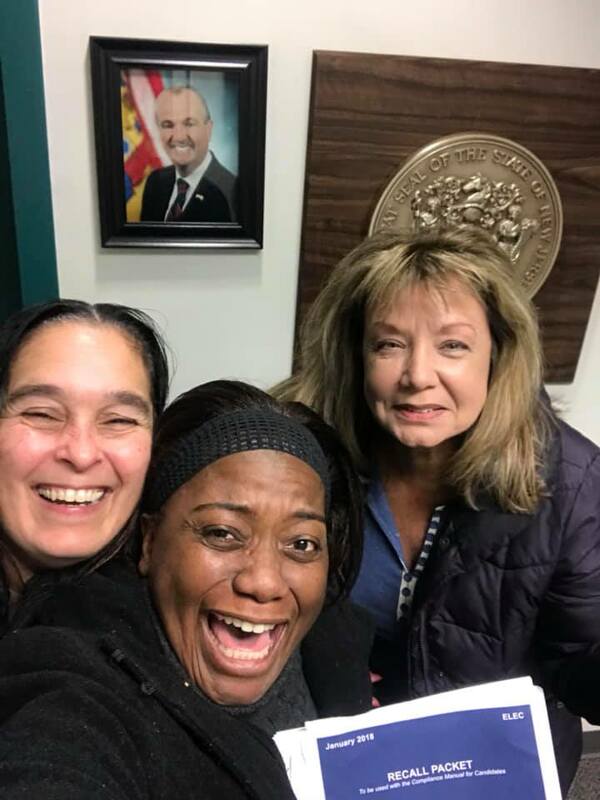 TRENTON-A petition to recall Phil Murphy has been filed and on Thursday, the state finally acknowledged receipt of the letter of intent filed by New Jersey residents Monica Brinson, Terry Becak and Patty Hoch. 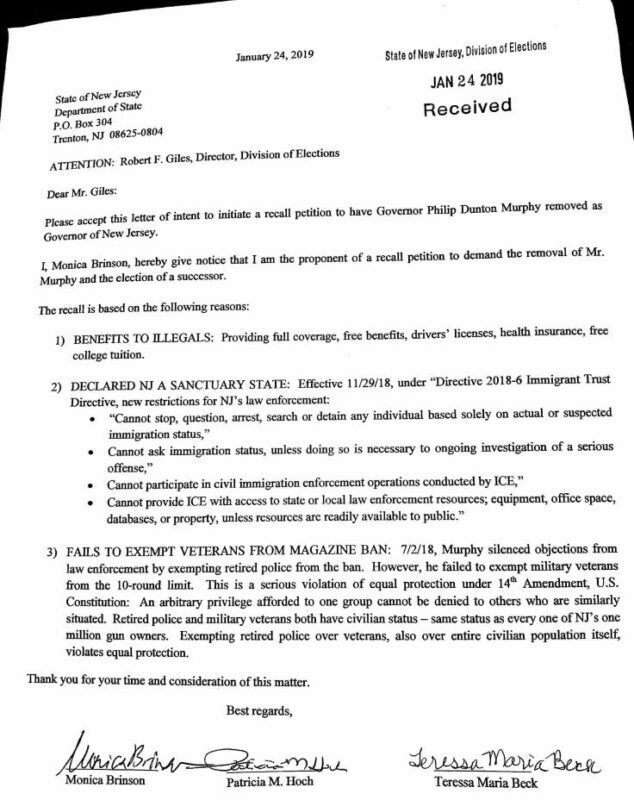 In the petition, the women stated their reasons for the recall including the governor’s declaration of New Jersey as a sanctuary state by Attorney General Directive 2018-6, the “Immigrant Trust Directive”. The women claim that directive effectively makes New Jersey a “sanctuary state”. In that directive, the Attorney General issued an order to local police departments stating they cannot question illegal immigration status or participate in civil matters concerning the U.S. Immigration and Customs Enforcement Agency. They also took aim at Murphy’s intent to grant illegal aliens access to benefits, including healthcare, college tuition and drivers licenses, funded by state tax dollars. The women also said Murphy’s 10 round ammunition magazine law is a violation of America’s 14th amendment of the U.S. Constitution that allowed retired police officers an exemption, but not retired veterans and other gun owners. Since filing the letter of intent, an movement to “Stop Phil Murphy” has reached over 1,000,000 New Jersey residents, ready to sign the petition and organize the effort to recall the Governor. A Facebook page for the petition has been setup to inform interested registered voters about where to get petitions and how to sign. 1.48 million petitions are required by law to force a ballot referendum to recall the governor. As of now, the women, who are the official petition recall committee are navigating through Trenton red tape and the actual petitions are not yet available. Be sure to check their page regularly for updates and availability here.